It’s time you let some real Dead Sea mineral dive into your skin and nourish them for an absolute hydration. 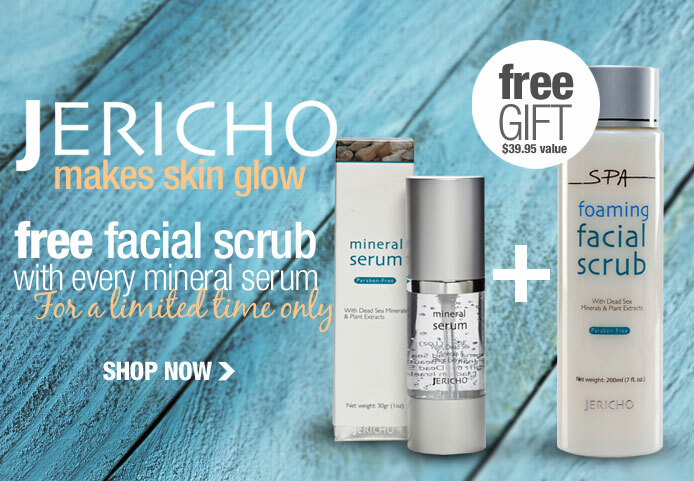 Now for a limited time only, you will get a FREE Jericho foaming facial scrub with every Jericho Mineral Serum purchase. Get your hand on it and start the journet for a healthy skin.